Maintaining a golf course is a very demanding job, from filling bunkers to hauling landscape rock to spraying 300 gal. (1135 L) of water on fairways. 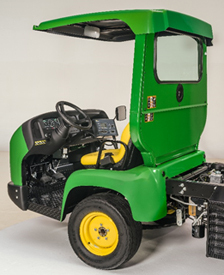 Demanding jobs require rugged vehicles that are up to the challenge of high payload capacities, and the ProGator™ 2020A delivers. 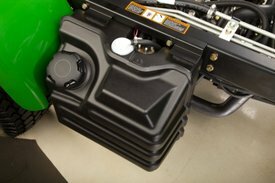 One of the key features of the electronic fuel injection (EFI) gas engine is the electronic capabilities for precise engine control. 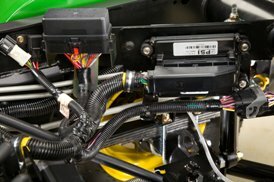 As a result of this technology, controlling engine rpm for spraying, topdressing, and spreading is now easier and more precise than ever before with the optional multi-mode throttle control. 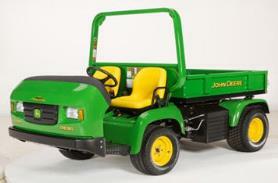 The multi-mode throttle control sets the maximum engine rpm for product applications. The reason the system is called multi-mode is that the system can be utilized in three different ways – normal throttle mode (Mode 0), a PTO mode for stationary applications (Mode 1), and a mobile mode for moving applications (Mode 2). If an operator wants to spray at 3.5 mph (5.6 km/h) in second gear at 40 psi (2.8 bar), the result would be an engine rpm of 2800. This lower rpm occurs when the multi-mode throttle control is set so that while the operator is spraying, the maximum engine rpm with the throttle pedal fully depressed would be 2800 rpm instead of the normal 3400 rpm. The multi-mode throttle control includes four sets of switches. The first switch at the top is a hand-throttle-control dial that is used to set the engine rpm in PTO mode. 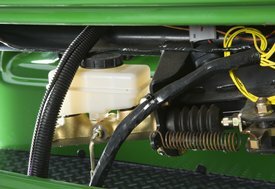 This would be used for walk spraying and handgun operation, applications which require the ProGator™ to be stationary for application. The second switch is the mode-select switch. Toggle the mode-select switch to the left for PTO mode, toggle to the right for mobile mode, and toggle to the center for normal mode. 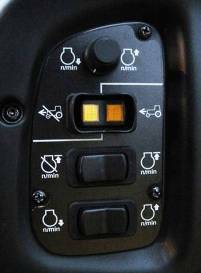 The reverse Z-shaped line on the decal shows which switches are used for PTO mode (dial only), and which ones for mobile mode (bottom two switches). For walk spraying, simply toggle the mode-select switch to PTO mode then, with the parking brake set and the operator off the seat, turn the dial clockwise to increase engine rpm and counterclockwise to decrease engine rpm . Simply toggling the mode-select switch back to the middle position allows the engine to return to a full operating rpm for transporting. When arriving at the next green, toggle the mode-select switch back to PTO mode, and the rpm will automatically return to the rpm as set by the dial. The mobile mode is for applications that require the ProGator to be moving during product application. The first switch below the mode-select switch is the set/clear switch. Once the operator achieves the desired target speed, simply toggle the mode-select switch to mobile mode and the set/clear switch to the right (set position) to set the maximum rpm. The operator can then push the pedal to the floor, and the engine rpm will not exceed the new maximum rpm that has been set. As the operator lets off the throttle, the engine will also reduce the throttle, but a new maximum will have been set. To go back to full rpm for transporting, simply stop the machine, toggle the mode-selector switch back to the center (normal) position to return to the normal operating rpm range. As the operator arrives at the next area and is ready for application, toggle the mode-select switch back to the mobile mode position to return to the preset maximum rpm established earlier. The bottom switch is the accelerate/decelerate switch. To increase or decrease engine rpm in 100 rpm increments while in mobile mode, simply toggle the switch to the right to increase or to the left to decrease rpm. This is a momentary switch, so each push of the button represents a 100 rpm increase or decrease. This innovative, easy-to-use system sets a new standard for the ultimate in application control. Working with higher payloads requires a tough power plant. 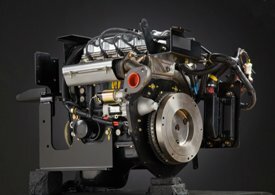 A powerful 34-hp (25.4-kW), 970-cc automotive-grade gas engine with electronic fuel injection (EFI) is the heart and soul of this strong package. Featuring an industry exclusive 4-cylinder design, electronic throttle control, and full-pressure lubrication, this gas engine provides plenty of power and technology. EFI provides the ultimate in efficient fuel delivery control for responsive acceleration and excellent fuel economy. 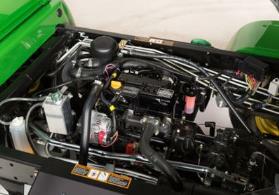 The EFI system also provides quick and easy starting, even on cold mornings, without the need for a choke. 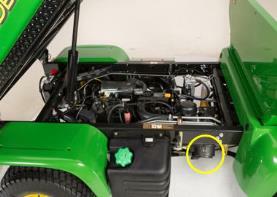 The engine controller is located under the cargo box and inside the right rear corner of the ProGator frame. The throttle system is drive-by-wire, meaning that the throttle position on the engine has no mechanical linkage back to the accelerator pedal. Instead, the accelerator pedal has an electronic potentiometer that senses the position of the throttle pedal, and in turn the engine controller then electronically sets the corresponding engine rpm. This provides for a clean overall setup by minimizing the linkage required to control the throttle, while also providing for quick response to accelerator pedal position changes. The fuel system package features a large 8.1-US gal. 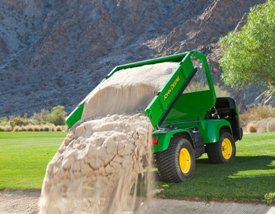 (30.7-L) EPA- and CARB-compliant fuel tank, providing plenty of on-board fuel for those long days of spraying fairways and roughs with minimal stops to refuel. And on those long days, operators appreciate comfort and minimized vibration. The engine mounting system is rubber isolated to reduce vibration at the operator station, enhancing operator comfort for the long haul. *At 3600 rpm - engine manufacturer gross power. Tested in accordance with SAE J1349. The engine horsepower and torque information are provided by the engine manufacturer for comparison purposes only. Actual operating horsepower and torque will be less. Refer to the engine manufacturer’s Web site for additional information. 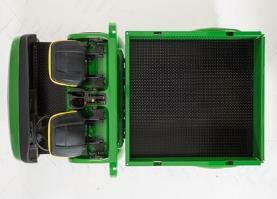 Kit includes cushioned support for armrests for one ProGator™ seat. May be used on operator or passenger seat. 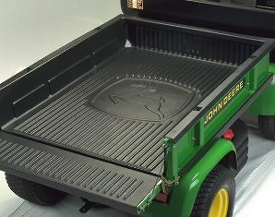 This high-density polyethylene bedliner is stamped with the John Deere logo and protects the cargo box from dirt and debris. The bedliner is designed to wrap around the bottom of the tailgate, which prevents gravel and debris from getting trapped under the bedliner. The bedliner ribs are also tapered at an angle, which allows dirt to flow freely when the cargo box is being lifted. This kit easily adapts the Cushman Core Harvester to the ProGatorTM cargo box for the smooth pickup of cores after aeration. For an even steadier pickup of cores, install the throttle governor control kit BM19955. Cushman is a U.S.-registered trademark of Cushman Inc., a Textron company. 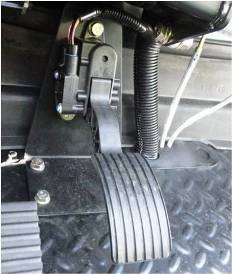 The leaf spring kit is required when installing the cab (0180TC) on the ProGator™ Utility Vehicle. The kit strengthens the front suspension of the vehicle to support the additional weight of the cab. 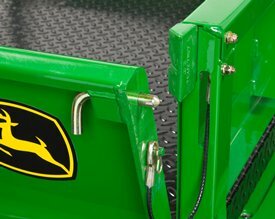 These mud flaps are molded to fit the ProGator™ Utility Vehicles and have a black finish. They offer the toughest protection and are easy to install. Each kit contains two mud flaps. The improved multipurpose platform (MPP) provides a platform and mounting points needed for the fifth-wheel hitch, Vicon Spreader, and other attachments used on the ProGator™ Utility Vehicle. 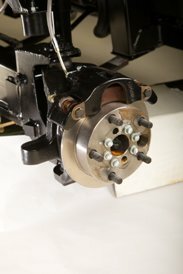 The fifth-wheel hitch mounting point is low to accommodate even more tow-behind attachments, and the MPP can be raised and lowered for service with the release of two latches on the side. The cargo box must be removed before installing the MPP. This versatile receive-type hitch accepts a 1.25-in. drawbar for towing applications. 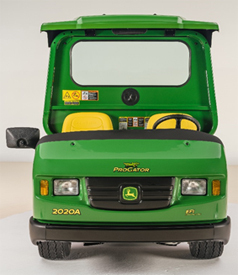 Both the ProGator™ 2020 and ProGator 2030 have a 1500-lb (680-kg) towing capacity. The drawbar or hitch ball needs to be ordered separately. 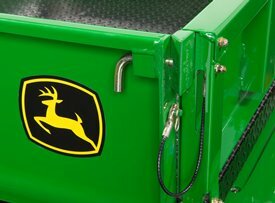 See receiver drawbar kit for additional information. Tailgate releases from the operator's seat. 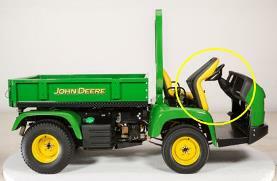 Controls the speed of the ProGator™ Utility Vehicle while driving. This is especially useful with spraying and top dressing applications. The Vicon PS 403 Spreader mounting kit provides simple installation and removal of the Vicon PS 403 Spreader--with just two pins and a latch. This kit also allows the multipurpose platform (VGB10050) to be raised and lowered while the Vicon Spreader is still mounted for easier serviceability of the ProGator™ Heavy-Duty Utility Vehicle. Work light kit includes two front and one rear work light.